Here's why Syria's "de-escalation zones" aren't "safe zones"
Turkey has long insisted that safe zones are needed to solve the crisis in Syria. Some believe that the newly agreed de-escalation zones are what was proposed all along. Actually, they're not. Turkey, Russia and Iran last week agreed to establish four "de-escalation zones" in the major conflict areas in Syria for a period of six months. The landmark deal took effect at midnight on Friday and the details are still trickling in. 1. What's a de-escalation zone? The term "de-escalation zone" was rarely used throughout the conflict. But the memorandum signed by the three guarantors describes it as an area where all hostilities between warring sides shall cease. The memorandum bans both the Syrian regime and the armed opposition from using any kinds of weapons in these areas. It also orders rapid, safe and unhindered humanitarian access and restoration of public services like electricity and water. 2. What is the difference between Syria's de-escalation zones and a safe zone? The term "safe zone" is also not a technical term under international law, but it is widely used to define a physical place in which people feel safe. Although the de-escalation zones in Syria are also intended to bring about a cessation of hostilities and restore a sense of normalcy to the country, they lack a protective framework. The agreement says that the hostilities between the Syrian regime and rebels will end within these zones. But it also foresees that there may be armed opposition groups that are not party to the ceasefire — a crucial stumbling block with past agreements — and allows the three guarantors to continue the fight against militant groups Daesh and Nusra Front from both within and outside the designated areas. Under the deal, security zones that include observation posts and checkpoints will be set up along the borders of these four de-escalation zones. Turkey, Russia and Iran are meant to guarantee the functioning and administration of these zones, but it's not known if they'll place their own troops on the ground. The idea of some sort of safe zones is nothing new — many groups and analysts have long insisted that they are needed to solve the conflict. "In our south – in north of Syria – we need to create a safe zone that has been cleansed of terrorist activities. Turkey is ready to do whatever it needs to do in this regard. We've always said this but sadly, we have not been able to take this decisive step," said Turkish President Recep Tayyip Erdogan. "If we had done this, Syrian people would not have left Syria and the refugees in Turkey, in Lebanon, perhaps they would be able to go back to this safe zone and start a new life in their homeland." Ankara described the de-escalation zones as a new concept and distinct from its previous proposals for safe zones. 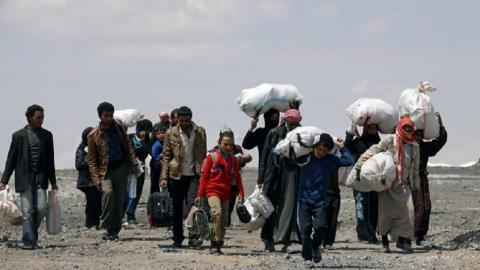 Turkey wanted to build safe living spaces in Syria so that refugees can return their homeland. "We wanted to build housing projects in this area, to provide health care services, social services and so on and so forth. The area would be 4,000, 5,000 square kilometers, and we wanted to build a new city, but we could not do it," said Erdogan. The conflict in Syria displaced thousands of people either internally or externally. There are over 4.8 million are refugees outside of Syria, and around three million of them are living in Turkey. 5. Where are the four de-escalation zones? The three guarantors will finalize maps of the zones by June 4. 1st zone: This zone is the largest one. It covers Idlib province as well as northeastern areas of Latakia province, western areas of Aleppo province and northern areas of Hama province. More than one million civilians are living in this area. 2nd zone: This zone includes the Rastan and Talbiseh enclave in northern Homs province. More than 150,000 civilians live in this area. 3rd zone: This zone covers Eastern Ghouta in the northern Damascus countryside, where a little less than 700,000 people are living. This area excludes the regime-besieged area of Qaboun. Russian Defence Ministry official Lieutenant-General Sergei Rudskoi said this was because Qaboun contained the al-Qaeda-linked group formerly known as the Nusra Front. 4th zone: This zone covers the opposition-held south along Syria's border with Jordan. It includes parts of Deraa and Quneitra provinces in which about 800,000 civilians are living. 7. What is the ultimate goal? 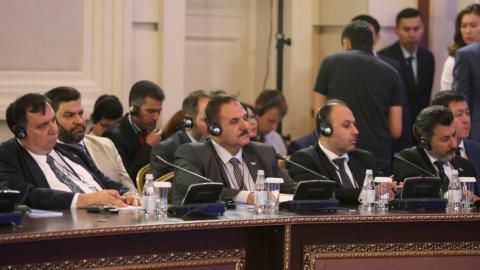 The three guarantors said that their ultimate goal is to solve the Syrian crisis through a political consensus. If a permanent state of non-conflict is secured in these four zones, they will introduce the next stage of their plan. 8. What has changed since the agreement? 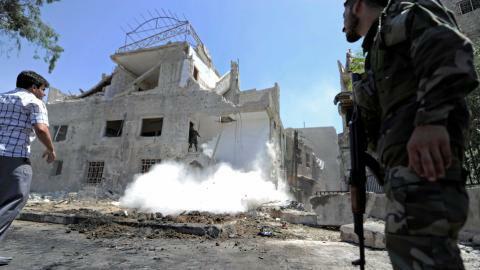 Fighting between Syrian rebel and government forces eased on Saturday, as the ceasefire took effect. "We noticed there are fewer airplanes, almost none. People are buying and selling more," said Abu Qais, a 26-year-old trader in Maaret al-Numan in Idlib province. "Psychologically, residents are relieved," he told AFP. The Syrian Observatory for Human Rights (SOHR) said the regime forces were clashing with rebels in the central province of Hama, dropping barrel bombs and firing artillery at opposition-held villages there. "Despite these violations, we can still say that hostilities have dropped," said SOHR head Rami Abdel Rahman. 9. Is the end of the war nearing? Years of diplomatic initiatives have failed to end Syria's war which claimed the lives of more than 320,000 people. Numerous rounds of UN-backed peace negotiations in Geneva have fallen short of producing concrete results. The Syrian regime, Russia and Iran have been accused of violating ceasefires in the past. Presumably, it is too early to say if the agreement can wind down the war. But the the three signatories to the deal believe it would, only if the two warring sides abide by it. "We as guarantors will do everything for this to work," said Russian President Vladimir Putin.